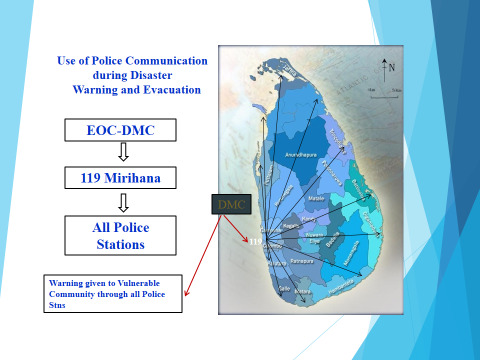 Moving towards greater military and police integration of response to the DMC; capacity enhanced in the military and police about roles and responsibilities and ensuring procedures were in place for multilateral responses in disaster management in Sri Lanka. . In the interim period, it is important to act between disasters to prepare communities and responders, to build relationships and lines of communication between military and police actors and DMC, and to established procedures in this regard. 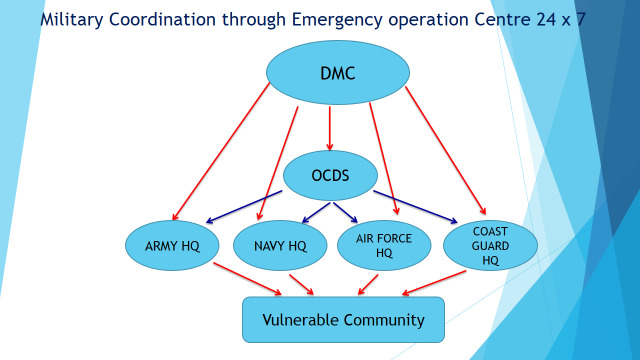 The elaboration of country-specific civil-military coordination guidelines stand in good stead in terms of facilitating coordination, communication, and problem solving and thereby more effective and efficient humanitarian actions could be provided to the vulnerable communities.